Predictive models of perception propose that perception works by making predictions about sensory inputs and minimizing prediction error. Hierarchical predictive coding models say that at each layer in the visual hierarchy, predictions are made about the layer below. Any differences between predicted input and actual input are propagated up the visual hierarchy by the mechanism of predictive coding, altering the system to reduce prediction errors in the future. According to some theorists, this approach portrays perception as “controlled hallucination”. 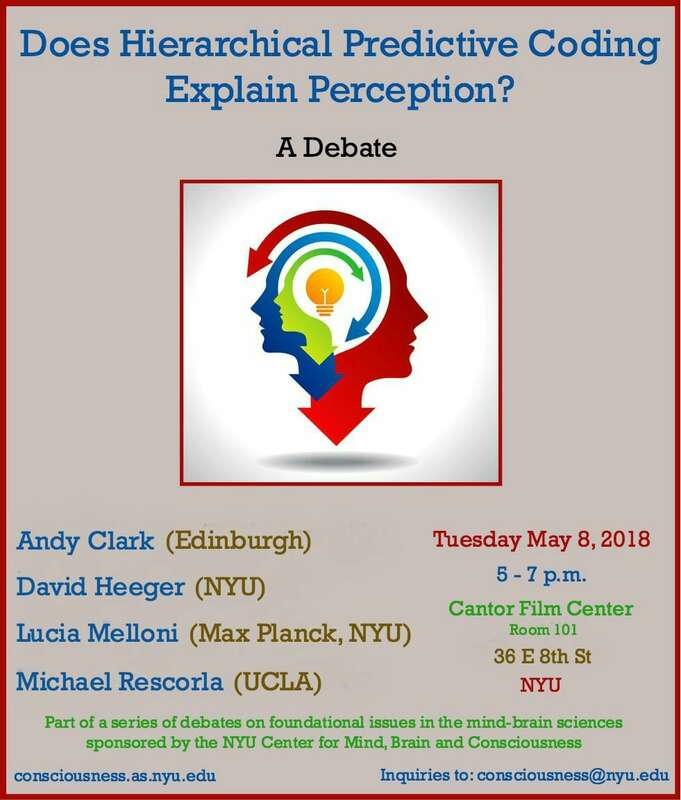 This event will bring two neuroscientists and two philosophers together to debate how well this approach can explain perception.